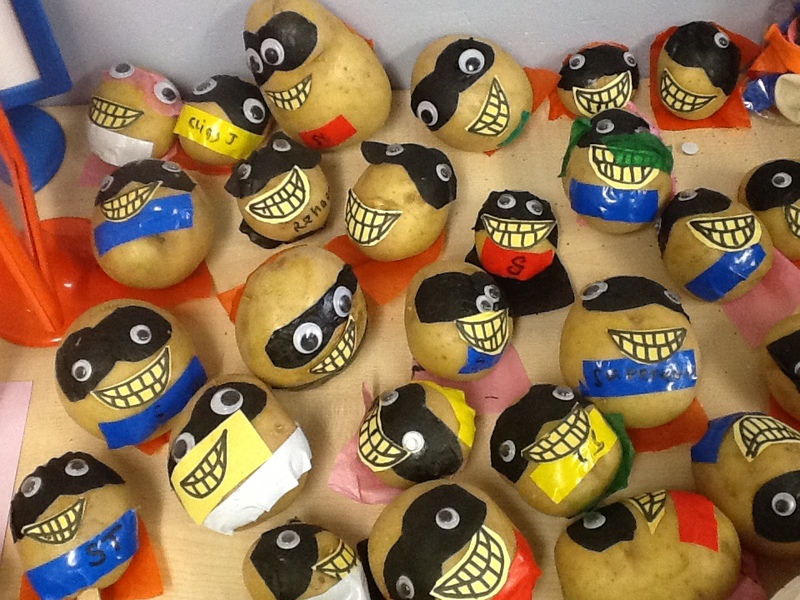 This week Year 1 have been looking at the story ‘Supertato’. We have been busy learning the story off by heart, re-telling the story to our friends, and becoming the characters. We now know the story off by heart and have written the story using our clever sentence writing. In art, we made a design of Supertato with a brand new cape and mask. After we created our design we made our very own Supertato! These are great, well done Year 1!